After the 2014 election, former Union minister P Chidambaram, along with Kapil Sibal appear-ed in a case relating to the coal scam. 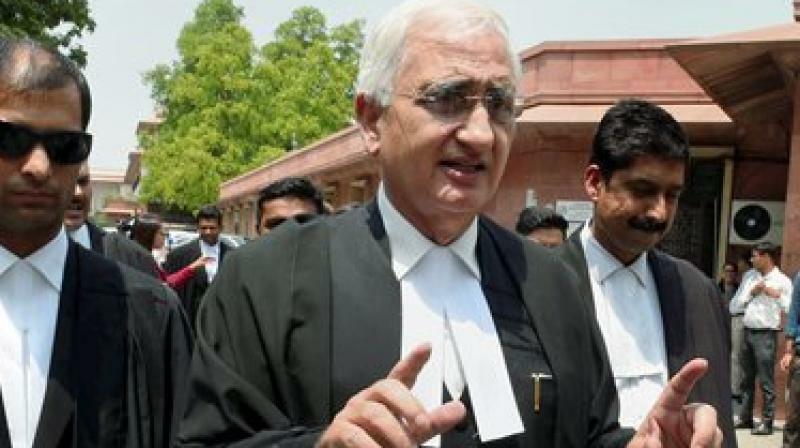 Hyderabad: After the debacle in the 2014 general election, senior Congress leader and noted lawyer Salman Khurshid accepted the brief of Asaram Bapu, accused of sexually assaulting a minor girl, in his quest for bail in the Supreme Court. Noted lawyer Ram Jethmalani too appeared on behalf of Asaram Babu and when neither he nor Mr Khurshid succeeded in getting bail for Asaram Bapu, Subra-manian Swamy, leading lawyer and BJP member moved a trial court in Jodhpur on May 23, 2015, with a bail application on behalf of Asaram. Kapil Sibal, former Union minister, who had favoured a strong anti-fixing law during the second term of the UPA government, defended sidelined BCCI president N Srinivasan, who is being probed in the spot-fixing and betting scam during the 2013 season of the Indian Premier League. After the 2014 election, former Union minister P Chidambaram, along with Kapil Sibal appear-ed in a case relating to the coal scam in which the court had quashed allocation of 214 out of 218 coal blocks allotted to various companies since 1993, out of which 134 were allotted during UPA rule. They appeared on behalf of Mumbai-based BLA Industries Pvt Ltd and sought exclusion of the firm from the ambit of the Supreme Court judgment. Senior criminal lawyer and former BJP minister Ram Jethmalani, who retired from practice in 2017, had appeared in several high profile cases before that. He defended Satwant Singh and Kehar Singh who had been sentenced to death for the 1984 assassination of Prime Minister Indira Gandhi. He also represented V Sriharan alias Murugan who was convicted in the assassination of Rajiv Gandhi. He represented senior BJP leader L K Advani in the hawala scam of the early nineties in which illegal payments were sent by politicians to hawala brokers.